One of the first jazz solos that really blew me away was the Pat Martino solo on Just Friends from his album El Hombre. 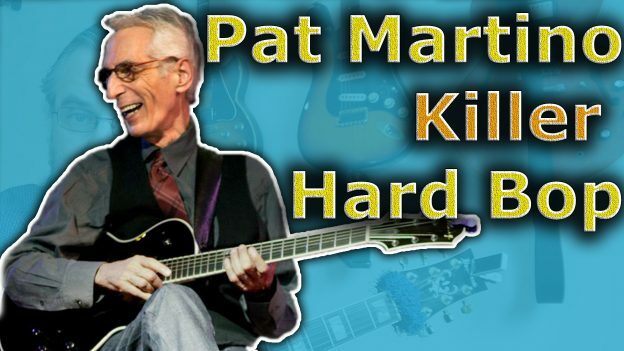 In this video I am going to show you 3 Pat Martino Licks from the song and talk about how they are good examples of some of the things he uses a lot in his playing that you can add to your vocabulary. This Lesson is exploring three different licks from the recording and talking about how they are typical for hard bop and also highlights some of Pat Martinos influences like Wes Montgomery. The first example shows how Pat Martino is using Melodic minor, in this case on a Db7(#11). In this example the maj7(#5) arpeggio is central. He uses this structure through out the song in both fills and the solo. The lick also contains an AbmMaj7 arpeggio. 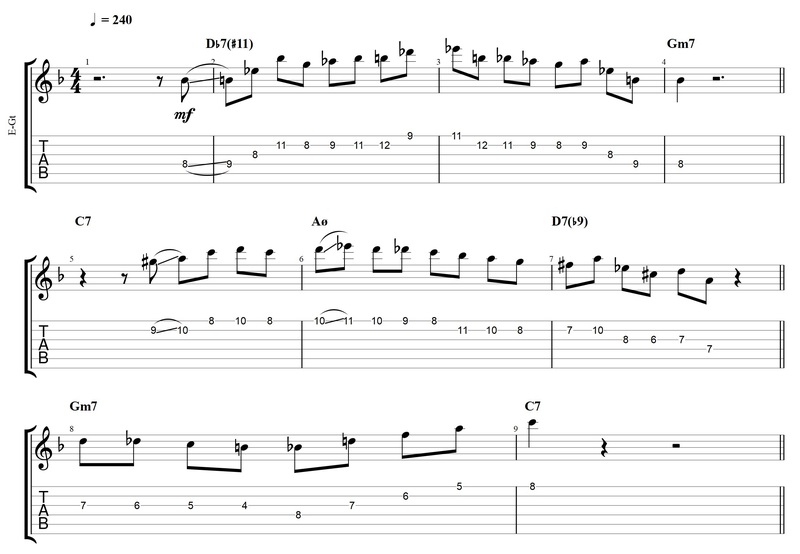 In the 2nd lick Pat Martino is starting with an F blues phrase and then continues into a Aø D7 line. Notic how he is using a pattern to play a D major triad adding a chromatic enclosure in the last bar. The final example is a simple line with a long chromatic passage, which is typical to Pat Martino, and also a Bbmaj7(9) arpeggio somthing that is found time and time again in Wes Montgomerys playing. Wes was a huge influence on Pat and that is on this entire album very clear. This entry was posted in Blog, Lesson and tagged guitar, jazz guitar, jazz guitar lesson, Jens Larsen, pat martino, pat martino guitar lesson, pat martino just friends, pat martino just friends solo, pat martino just friends transcription, pat martino lesson, pat martino licks, pat martino solo on June 2, 2018 by jens.